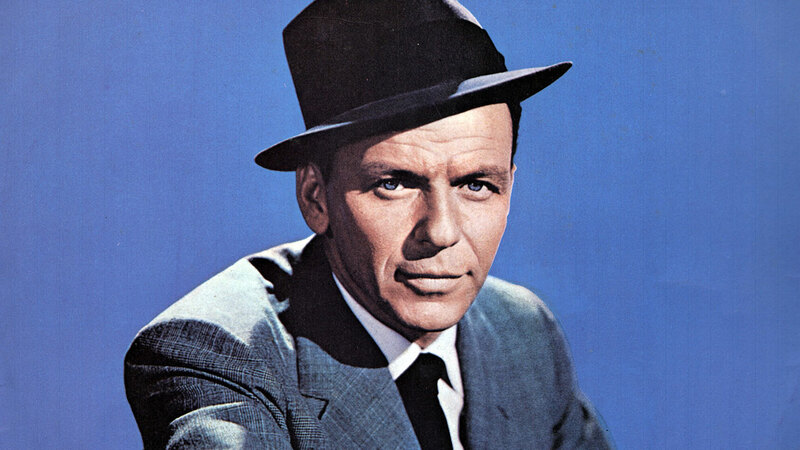 Legendary singer Frank Sinatra was born on Dec. 12, 1915, and passed away on May 14, 1998. His career spanned half a century and left such an impression in American culture that Rolling Stone calls him "indisputably the 20th century's greatest singer of popular song." Here are five reasons Frank Sinatra's impact stands the test of time. Sinatra was already interested in singing as a teen, but it wasn't until he saw Bing Crosby perform in the 1930s that he made the commitment to make it his career, according to Biography.com. He would go on to perform with his idol, whose voice is still synonymous with the words "White Christmas." Watch these highlights from their 1957 TV special, "Happy Holidays with Bing and Frank." Sinatra waned in popularity and lost film and recording contracts after World War II. That was just the beginning of his career, though. By 1953, he had snagged his first non-singing role in From Here to Eternity, and he even won an Oscar for it. Though he struck out in a solo career early on, Sinatra also knew how to pick the best collaborators for both the stage and screen. The most iconic of his collaborations was the "Rat Pack," a group of actors, comedians, and singers that often sang and acted together, of which Sinatra was the leader. Many of the "Rat Pack" like Dean Martin, Sammy Davis Jr. joined Sinatra in starring in the original Oceans Eleven movie. Many of the songs Sinatra recorded were not originally his, but he sang them in a way that made the song timeless. One such song was the "Theme from New York, New York." It was originally written for Liza Minelli, but it's Sinatra's crooning version that is still thought of as an anthem to residents of New York City today. Near the end of his life in 1992 and 1993 he released Duets and Duets II, featuring the likes of Aretha Franklin, Bono, Tony Bennett and Liza Minnelli. The collaborations would not only win him a new generation of fans, but it allowed others to share the stage with someone they respected, the way he had with Bing Crosby. Tony Bennett reflected on his career for LIFE magazine in honor of his 100th birthday in 2015, writing, "Five hundred years from now, people will still be listening to his recordings, watching his films, and they'll say, 'There was only one Sinatra.'"